Mo Rocca + Ruffeo Hearts Little Snotty + Martha Stewart = DIY Awesomeness! Mo Rocca [one of my favorite comedians] endeavors to sew a hoodie from scratch with the aid of Ruffeo Hearts Little Snotty [one of my favorite Etsy sellers] on his quest to discover the underground DIY revolution. After the adventure of a lifetime, Mo Rocca goes on the Martha Stewart Show to show off his handiwork. I think it's awesome that this video shows the intersection of three different facets of the DIY movement— the "house wives", the hipster youth and the entrepreneurs. Although each group has different motivations as to "Why DIY?" they certainly are all undeserved demographics in mass consumerism culture. With that said, I think it's quite fitting that they've each found their niche, and each other, in the DIY world. This video is just a tantalizing sneak peak of what's yet to come. This necklace— handcrafted by Etsy seller Elizaveta— is made of sheets torn from Archie comic books. 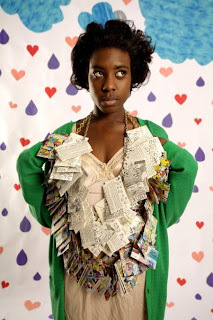 She folded each sheet into a mini envelope and linked them all onto gold chain necklaces in an explosion of colorful comic strip debauchery. If you haven't read Freakonomics yet, you definitely should. In Freakonomics, University of Chicago economist Steven Levitt and New York Times journalist Stephen J. Dubner argue that economics is in fact the study of incentives and explore the hidden side of everything—connecting the economic dots between things like sumo wrestler and teachers. 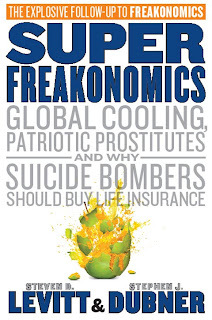 As if that wasn't enough, there's gonna be a sequel of sorts—Superfreakonomics. I loved the first book. Never before has economics been so interesting. I just can't wait until it comes out in the fall. I think I might pre-order it... 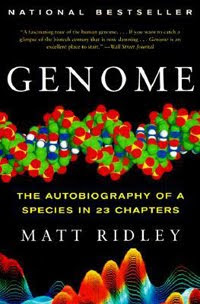 The fact that the university I attend might have the authors come to give a lecture makes the upcoming book release infinitely more exciting. 1.. 'Drink' from the 'everlasting cup' every day. is in worse shape than you are. thank God you live in a country where you have religious freedom. I am better than I used to be ! Onyxanya is a Youtuber who has an awesome channel where she posts videos about her day-to-day life and her natural hair. Here's her introduction to the Top 6 Reasons To Nap It Up: "I, Dr. Yanni, have done extensive research in all things napptural. I have come up with a coveted list of 6 reasons to get nappy!" She is too funny! And on top of that, I kinda want to ask for the recipe to her sister's cookies. This woman, Joelle, has been natural for 10 years and was recently featured on the "Fly n Natural" segment on Afroniquely You. Afroniquely You is a natural haircare blog that "help[s] naturals and aspiring naturals to embrace, love and accept all the beauty of what natural hair has to offer." A recent article in the Denver Post highlights the rise in men taking up sewing and other crafty endeavors. As someone who loves sewing, crafting and all things DIY I can wholeheartedly say that guys crafting is a good thing. It takes a strong man to go against stereotypes that say: "Only women sew" or "Real men don't cook, clean, etc." Through crafting, these men gain independence from factories and mass produced goods AND have something to talk about with cute, crafty chicks. What's there to lose? 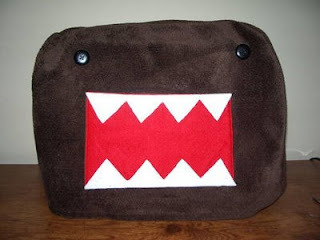 So...I'm seriously contemplating sewing this Domo-Kun sewing machine cover. I think would suit my sewing machine quite nicely. The site I found it on is called, Geek Crafts— aptly named as all of the arts and crafts posted on the site are of the geeky persuasion. As a nerd who crafts I think we need more websites like Geek Crafts. No longer does being a nerd mean you lack appreciation for the arts— Viva la geek renaissance! 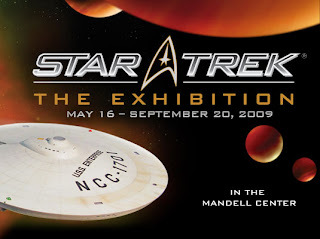 Star Trek: The Exhibition at the Franklin Institute in Philadelphia, PA "features the world's most comprehensive collections of authentic Star Trek objects and transports visitors into parallel universities of the future and past." There's even a chance to win a telescope signed by Leonard Nimoy himself. As a Trekie, I have no choice but to drag my family to Philly for a day. I'm sooo excited! Dr. Lisa Newman travels 16 hours from Michigan to Ghana in search of cancer clues. 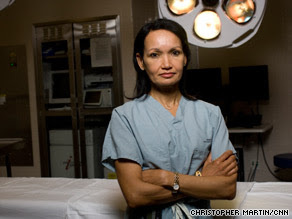 She collaborates with other doctors to find the origins of triple negative breast cancer. Women most affected by TNBC are younger, pre-menopausal and of African ancestry. Dr. Newman is conducting ground breaking research on the possible link between Ghanaian women and African-American women with TNBC. It's stories like this that make me excited to go to Medical School and become a doctor. 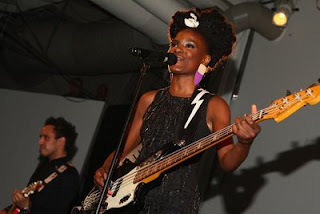 I'm in love with Shingai Shoniwa, the British-born Zimbabwean vocalist and bassist of indie rock band, the Noisettes. I just started listening to their stuff and I love it— It's a unique blend of soulful pop and electro-dance music. 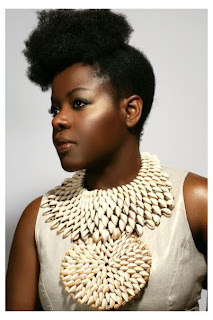 I'm enamored with her powerful voice, eclectic style and awesome [natural] hair && She's gorgeous! She's most definitely a hair and fashion inspiration for me.